“History didn’t last very long. Two weeks after Conor McGregor became the third person to win Ultimate Fighting Championship titles in two different weight classes — and the first to do so simultaneously — the biggest star in the sport no longer holds that distinction. Instead, the man he knocked out with a single punch has now been upgraded from the interim featherweight champion to the “undisputed” featherweight champion. Meanwhile, Max Holloway and Anthony Pettis will fight for the now vacant interim featherweight championship at UFC 206. “Americanism is an amorphous idea. The concept varies person to person and has no doubt changed over time. Yet there is still something immovable and essential about it, so much so that it continues to exist at the center point of culture and politics despite meaning completely different things to different people. The definitive American virtues, however, in all their manifestations, boil down to similar ideas: stubborn individualism, rugged adventurism and hope to make a new, better life for oneself. 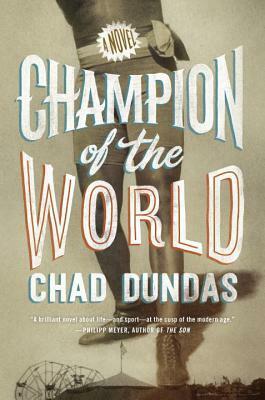 These ideas find a unique home in “Champion of the World,” the debut novel from Bleacher Report lead MMA writer Chad Dundas. Through the lives of down-and-out former wrestling champion Pepper Van Dean — back when professional wrestling was still legitimate competition — and his wife Moira, Dundas unravels the layers of the American spirit in a vivid pre-Depression setting. We meet the Van Dean’s as part of a backwoods traveling circus, where Pepper performs dangerous stunts and wrestles audience members for spare change while Moira cheats drunken yokels on the poker table. After a particularly confrontational night, they find themselves on their own in the middle of the Oregon woods. Having no real alternatives, they accept a dubious offer to train Garfield Taft, a talented African-American wrestler fresh off a publicized bid in prison. Taft’s goal: to become the undisputed heavyweight wrestling champion. “The word “monopoly” evokes a number of reactions. For some, it means the death of competition and the rise of bully businesses that can jack up prices at their sinister whims. For others, it means family squabbles and slammed game boards from landing on Boardwalk — again — after your little brother put a hotel on it. Either way, rarely does a positive reaction follow discussion of monopolies. Even monopolistic entities themselves try to avoid the term, lest they incur greater scrutiny from the angry masses who are still recovering from the previous night’s board game defeat. “There’s a common phenomenon that coincides with every Conor McGregor fight: Friends and family members who otherwise don’t care about MMA whatsoever suddenly ask me questions about “the fights this weekend.” The questions generally boil down to “Who is McGregor’s opponent?” and “Is McGregor going to win?” It’s a testament to how broad the Irishman’s reach has become. 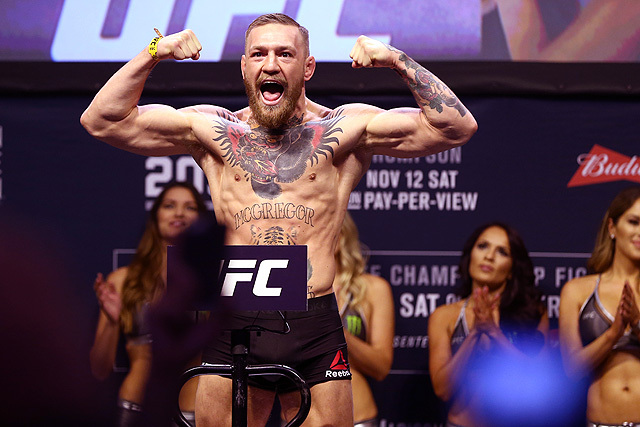 At this point it’s hard to deny that everything feels bigger with McGregor. I’m not only talking about the verifiable things — the gate records, the pay-per-view buys, the paychecks — but also the general, abstract feeling. 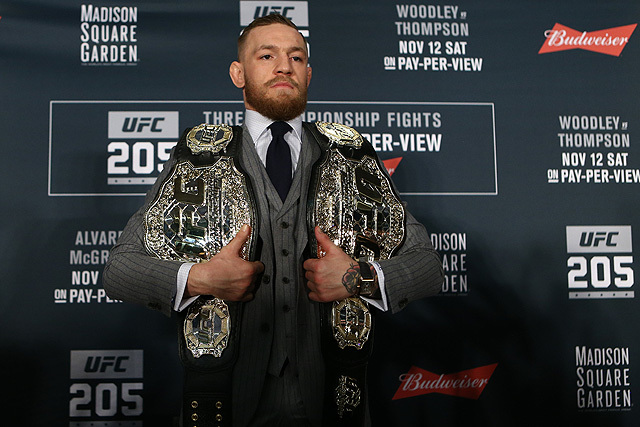 A McGregor event reliably evokes an air that it’s something more than just a fight card. It’s The McGregor Fight; it’s bigger than it actually is. “The Big One has finally arrived. After years of red tape, the Ultimate Fighting Championship will make its long-anticipated debut at Madison Square Garden on Saturday, as UFC 205 “Alvarez vs. McGregor” goes down in New York. Accounting for one half of the headlining bout is Conor McGregor, the biggest star in the sport. After claiming the featherweight title in December, McGregor has stayed busy in other divisions in 2016, splitting a pair of fights at welterweight against Nate Diaz. 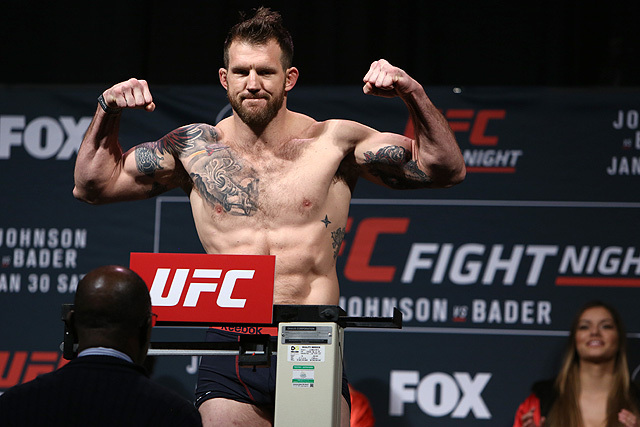 He last stepped foot in the cage in August, when he rebounded from the first UFC loss of his career to take a five-round decision against Diaz in what is alleged to be the biggest event in the promotion’s history. This will be the second time preparing for a lightweight title fight, but it will be the first time he actually gets a shot to make history as the first fighter to simultaneously hold UFC titles in two weight classes. This is McGregor’s third fight of 2016. Standing between McGregor and history is lightweight champion Eddie Alvarez. He is no stranger to the pressure of precedent, as he became the first fighter to win championships in both Bellator MMA and the UFC. Though he dropped his UFC debut against Donald Cerrone, Alvarez is currently riding a three-fight winning streak, with each victory coming against a former major organizational champion. He was last in action in July, when he punched the belt off of then-champ Rafael dos Anjos in the first round. This, his first title defense and third fight of the year, will no doubt be the biggest bout of his long, storied career.